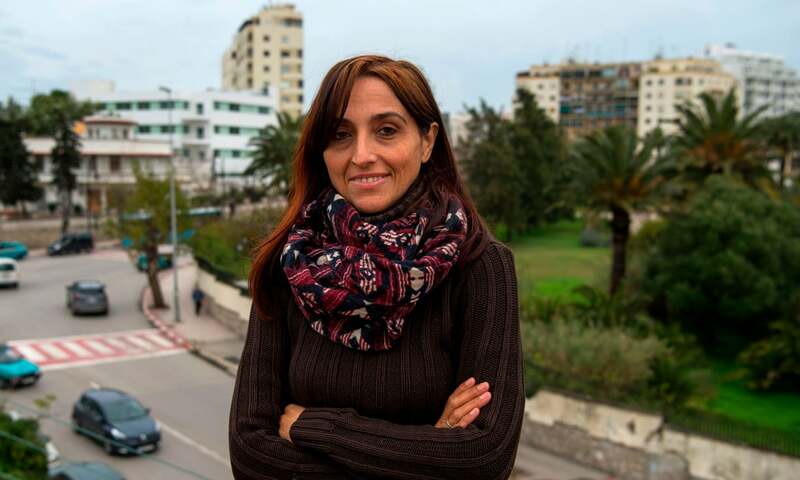 The Court of Appeals in Tangier has dropped its charges against Spanish activist Helena Maleno. Morocco had charged Maleno, a spokesperson and activist for migrants, in 2017 with colluding with human traffickers to illegally move people across borders. However, the court confirmed on Monday that there was no evidence of a crime. UN human rights experts have denounced the case against Maleno, including the UN special rapporteur on the situation of human rights defenders in a report to the UN Human Rights Council in 2018. 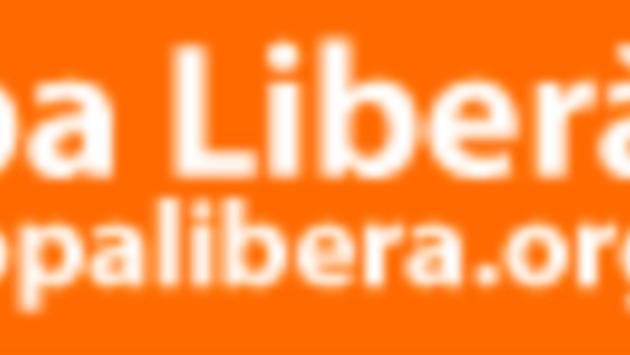 The charges Morocco filed against Maleno have their origins in an investigation led by Spain’s Unit for Combating Immigration Networks and Document Counterfeiting (UCRIF) in 2012. The investigation was sparked by frequent calls made by Maleno to naval authorities regarding boats of migrants in the western Mediterranean waters. The calls, despite saving countless lives, also aided directly in the migrants’ transfer to the Spanish coast. In April 2017, Spain found insufficient grounds to pursue a criminal case but passed the investigation on to Morocco. The Moroccan courts first dismissed the case in December 2018, but Monday’s announcement, in response to an appeal filed with the Moroccan Prosecutor’s Office, stands as final..
Maleno has won international recognitions with several awards, including the human rights award “Nacho de la Mata” (2015), the Human Rights Award of the Human Rights Association of Spain (2018), and the MacBride Peace Prize (2018). On the 30 November, the Kato Mikeladze Awards were held in Georgia to celebrate women’s rights activists in Georgia. It is not just in Kenya that national human rights award play a role [https://humanrightsdefenders.blog/2018/12/03/human-rights-defenders-in-kenya-honored-with-national-awards/]. In Georgia the Kato Mikeladze Awards recognize women human rights defenders. The Kato Mikeladze award celebrates a young generation of human rights defenders who work to advance gender equality. Nominees included 14 young civic leaders, journalists, researchers and entrepreneurs who advocate for sexual and reproductive rights, gender equality in education, the elimination of gender-based violence and the rights of migrants and minority groups. Ida Bakhturidze, civic activist and one of the founders of the platform Women from Georgia, received the award in recognition of her achievements in supporting women’s rights and gender equality. “We salute our award winners and nominees for their courage in standing up for equal rights,” stated Louisa Vinton, head of the UN system in Georgia. Stressing the importance for young champions for women’s rights, Nana Pantsulaia, Executive Director of the Women’s Fund in Georgia stated “Georgian women are becoming more vocal across all spheres of life. They make their voice heard in politics, economic activities, education and human rights protection.” Nonetheless, there is still a large deficit of female representation in parliament and many areas of public life in Georgia. Kenya is one of the few countries with a fully developed system of national awards for human rights defenders. They are organized by the National Coalition of Human Rights Defenders Kenya and the Working Group on Human Defenders. A ceremony was held on 1 December 2018 at the residence of the Belgium ambassador. A panel of eminent Kenyans chaired by former Chief Justice Willy Mutunga has honoured rights activist Okiya Omtatah with a Lifetime Achivement award. Omtatah also scooped the Popular Vote award in the annual ceremony. Ms Nambo from Mombasa is a mother, a preacher and an avid advocate of environmental rights. She started her human rights work in 2009 when the Metal Refinery was established in the Uhuru Owino slums. The adverse effects of the metal refinery led to active advocacy and lobbying by Nambo and her community. Threats and attacks. Their struggle bore fruit in 2014 when the refinery was closed. She has endured verbal attacks, threats through texts and attempts to break into her home and had to seek refuge in Uganda. Is’shaq, a public relations manager working with indigenous communities in Lamu, is a human rights defender on environmental rights issues. He co-founded Save Lamu, an umbrella of CBOs established in Lamu in the onset of the Lapsset project. Save Lamu teaches the community on the environmental impact of the Lapset project and seeks legal redress for the locals. His work has earned him threats and police harassment which he has overcome through strategic partnerships with mainstream organisations like the NCHRD, Muslims for Human Rights (Muhuri) and Kenya National Commission on Human Rights (KNCHR). Receiving his award, he said it will legitimise his work and encourage other human rights advocates in Lamu. Christine Kandie won the Upcoming Human Rights Defender of the Year award. Kandie fights for the land rights of Endorois women and is the programme’s officer for the Endorois Welfare Council (EWC). She represented her community at the African Commission on Human and Peoples Rights (ACHPR) session in 2011. The objective of the awards is to honour extraordinary work of human rights defenders who face a myriad of challenges in their calling. “The award ceremony is a special occasion for these courageous individuals who do excellent work within our community,” said National Coalition of Human Rights Defenders Executive Director Kanau Ngugi. The 2018 Human Rights Defenders Award went to Margaret Arach Orech, the founder of Uganda Landmine Survivors’ Association and Peter Sewakiryanga, the founder of Kyampisi Childcare Ministries, an organisation that supports child victims of sacrifice. Arach, who lost her leg to a landmine during an attack by the Lord’s Resistance Army (LRA) rebels in 1998, uses her organisation to solicit for support for fellow survivors and persons with disabilities. Sewakiryanga, a pastor now takes care of 80 child survivors of trafficking and human sacrifice has built an extensive network linking communities and security to track suspected cases. In 2017, Sewakiryanga travelled to Oman to rescue six victims of child trafficking. He is credited for championing research and spearheading an awareness campaign in communities to stop the crime. Its aim is “to recognize the careers of Mexican journalists who have distinguished themselves in defending human rights,” said Giancarlo Summa, director of the United Nations Information Center in Mexico. Valdez, an award-winning journalist who covered Mexico’s powerful drug cartels, was gunned down last May in broad daylight outside the offices of Riodoce, the newspaper he co-founded in Culiacan, the capital of his native Sinaloa state. He was also a long-time AFP collaborator. 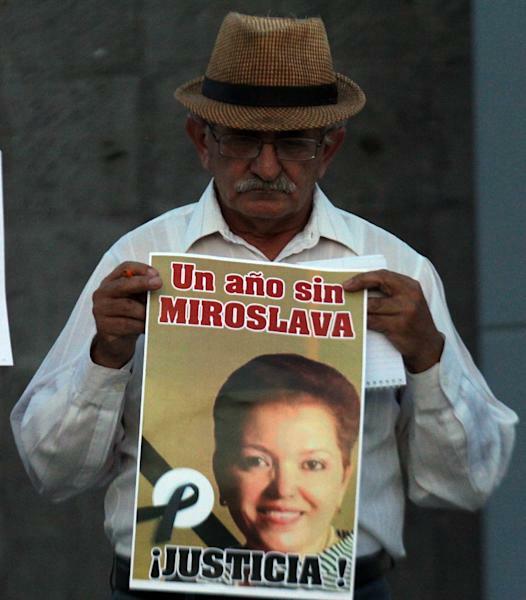 Miroslava Breach, a correspondent for Mexican daily La Jornada in the state of Chihuahua, on the US border, was a celebrated investigative journalist known for hard-hitting reports on links between politicians and organized crime. She was shot dead in broad daylight last March as she drove her son to school. The annual prize is also co-sponsored by UNESCO, the Ibero-American University and the French embassy in Mexico. The first edition will be awarded on May 3 in Mexico City. The winner will receive a grant and a trip to France to take part in a series of events on free speech. “There is no indication these crimes are going to stop. Let’s hope this prize will help all the country’s brave journalists keep up the fight,” Valdez’s widow, Griselda Triana, said at the launch of the award. Interesting example of how governments (here the EU) can work together to protect human rights defenders in a specific country (here Uganda). Since a few years there is an annual EU HRD Award to recognise and honour the achievements of an individual Human Rights Defender active in Uganda. 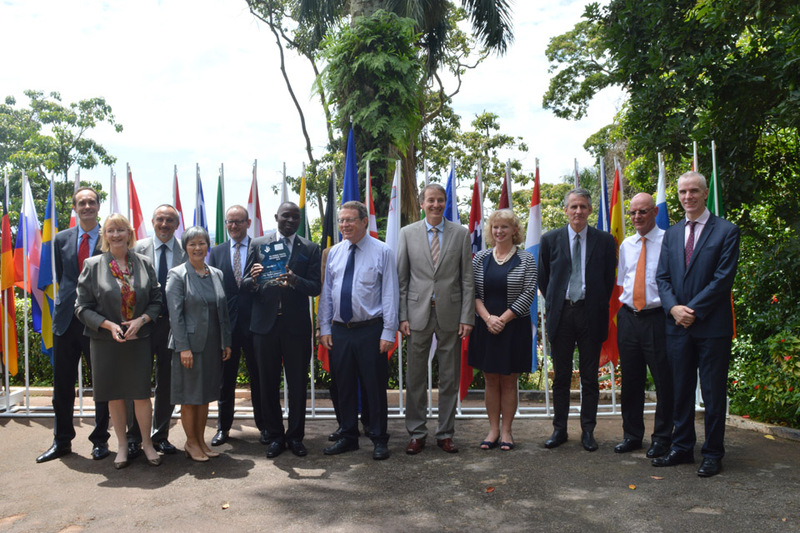 EU Heads of mission with the 2016 EU Human Rights Defender Award recipient, Robert Sempala in May 2016.
advocacy for the respect of human rights. Nominations should be sent by e-mail to: Kampala.Reception@fco.gov.uk. Nominations should be a maximum of one page in length, and should use the following nomination form (MS Word Document, 51.5KB). The deadline for nominations is 14 April 2017. The winner will be announced on 25 May 2017 at a ceremony hosted by the Embassy of the Kingdom of the Netherlands in Uganda. Theresia Yuliawati Sitanggang.Komnas Perempuan chairman Azriana said the awards were presented to remind the nation that these women fought to promote gender equality. “They never once asked to be awarded, but they dedicated their lives to help Indonesian women”. 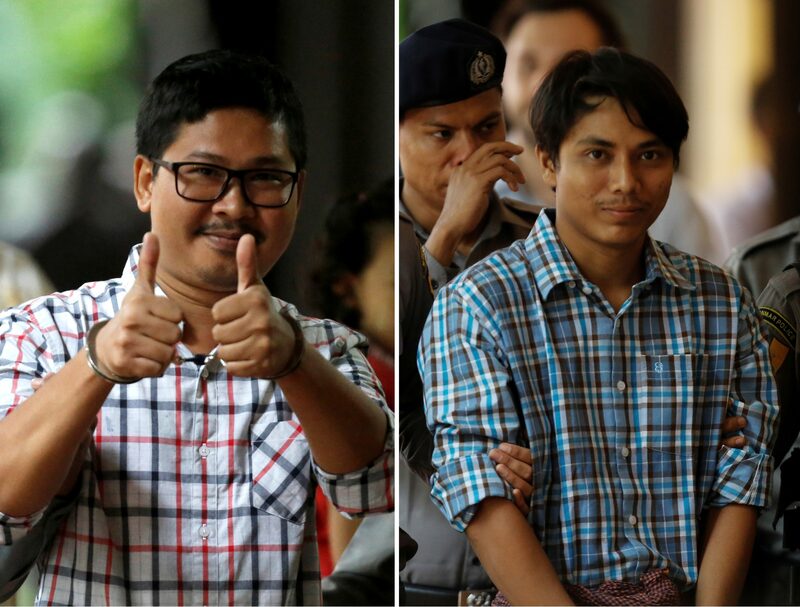 When writing about human rights awards, I often talk about better-known international awards [https://www.deepdyve.com/lp/oxford-university-press/human-rights-awards-for-the-protection-of-human-rights-defenders-qqq8FI0qeN]. However, there are quite a few local ones that can play an important role in shaping the work of human rights defenders. Here the case of Moldova where the “Promoting Human Rights in Moldova” competition was established by the United Nations in 2004. The prizes are awarded annually to journalists or human rights defenders who have made a genuine contribution to the promotion and protection of human rights in Moldova. The prizes were awarded by the Association for Independent Press in Moldova, with the financial support of Civil Rights Defenders in Sweden. Radio Free Europe reported proudly on 23 March 2016 that their journalists working with RFE/RL’s Moldova Service were recognized for excellence in audio and video reporting on local community and human rights issues. Reporters Mihaela Gherasim and Eugenia Pogor took first and third place in the television program category, with programs on HIV and LGBTI questions.